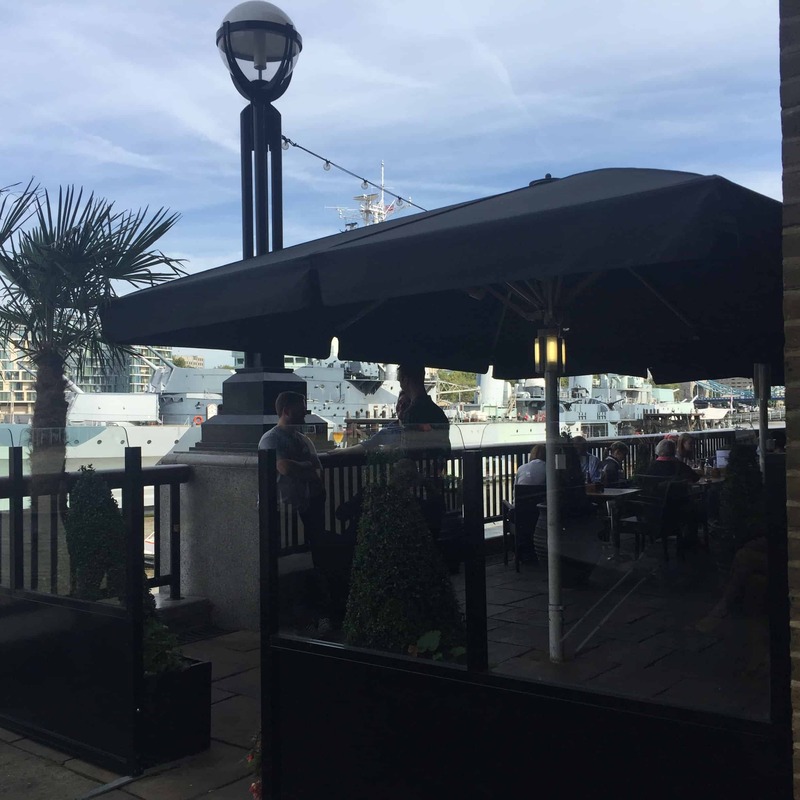 Hornimans at Hays is a bar in London Bridge overlooking HMS Belfast on the Thames. It has a large outside terrace which is wonderful in the summer overlooking the river. Prices are fairly standard at the Hornimans with two drinks around £10.